An ammunition carrier that is attached to a gun in apposition that does not interfere with the operation of the gun. The carrier is attached to the gun using 6 screws. 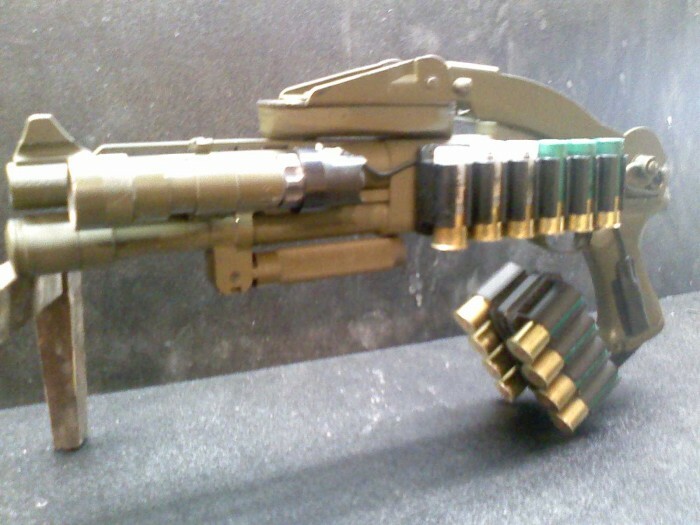 Once in place, it allows a shooter to carry up to 12 shtgun shells simply and easily. 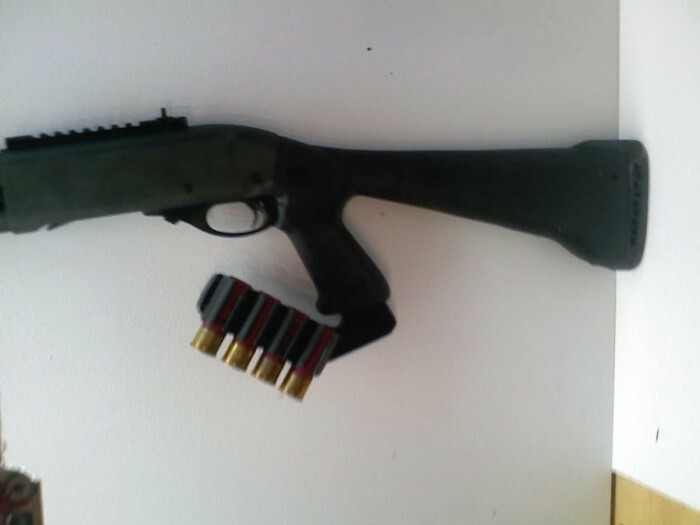 The carrier can be made in a straight-line design or a pistol grip type design. The carrier has Velcro patches that allow the shell holders to be attached. The shell holders have elastic bands that hold the shells. One or two shell holders can be attached to the carrier as desired. A user can keep several carriers available, each with a different type of shot or load so that the user simply has to select the desired ammunition for a particular purpose and attach it to the gun. It can also be used to carry ammo magazines for rifles. The LoadMaster Systems product line has been proven as a saleable product line for the past 3 years. I have taken the product to the 2010 and 2011 SHOT Shows with great reviews. June 2010, SWAT magazine published an article on the products. 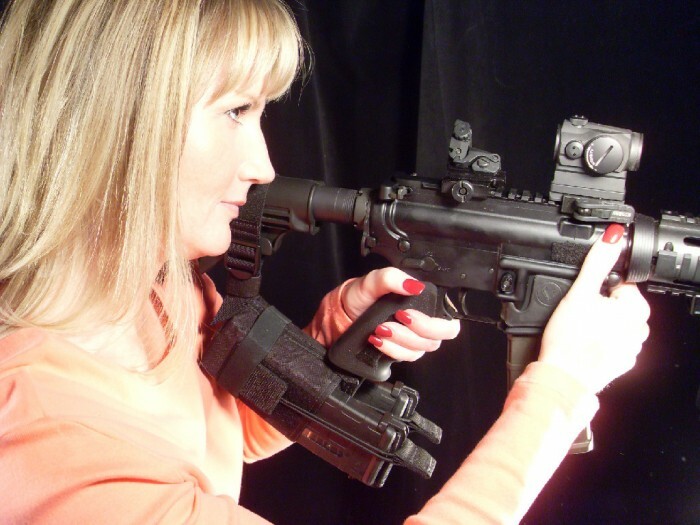 The products are NTOA (national tactical officer association) approved 2012. 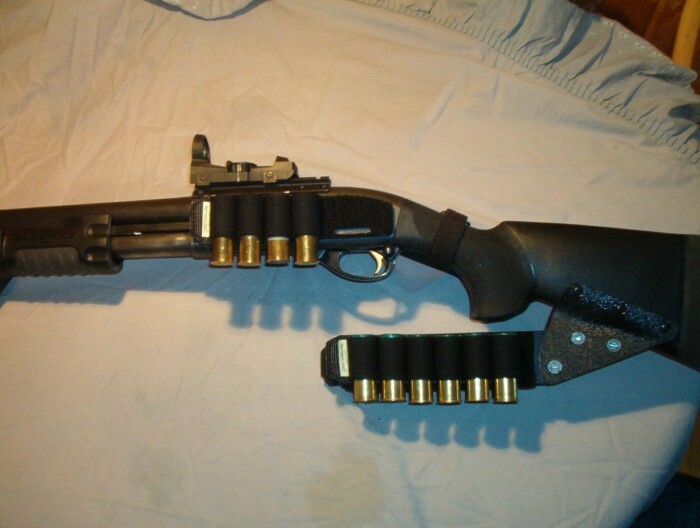 The LMS system is designed for shotguns and rifles to carry additional ammunition. It has been field tested and approved by law enforcement officers and military personel. Masten Machine & Plastics are the manufactorer of the product line. They have manufactured, assembled and marketed the products through the developement stage to the patenting process. We are now at the stage with the patent to offer the products for an outright sale, a license with royalties or another form of partnership. 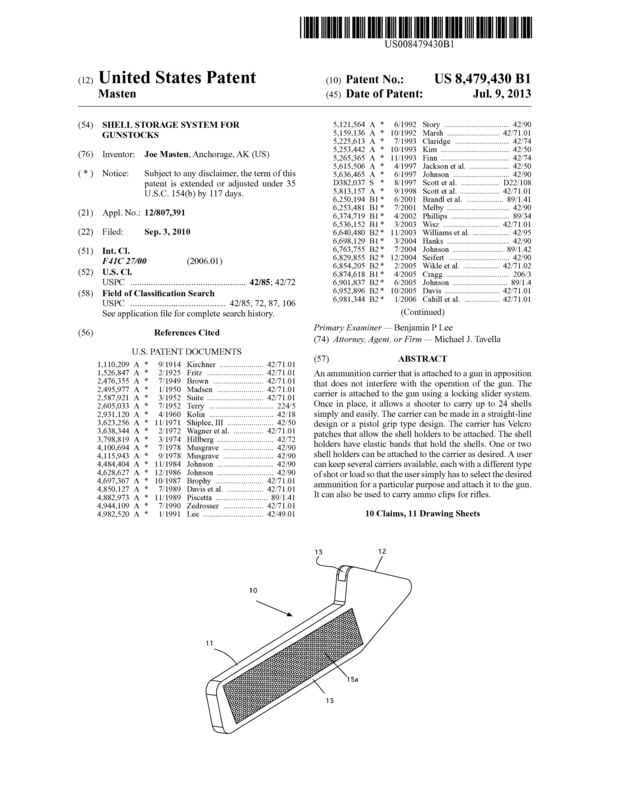 Page created at 2019-04-25 0:01:20, Patent Auction Time.